Pretty sure Sunday's event is going to be remembered for a long, long time! Big thanks to RD combo of Brett Verity & Alex Murdock for their quick thinking and relocation of transition so that our event could go ahead. This is one race that will be talked about fondly, given that it had some very humorous moments, some high drama and also because it finished on such a "feel good" note, and because it all happened on a perfect dry season day! It was great to welcome a number of new members who were participating in their first event with us. We were also able to share the enthusiasm of those completing their first ever triathlon and also of those who took the opportunity to step up to the longer distance. Big thumbs up to all competitors!! Thanks again to Brett, Alex and all our other wonderful volunteers who assisted on race day. 1. Our volunteer roster is looking a little bare right now. 2. Please check the Events Calendar for vacant dates and put your hand up for an event that suits. 3. Our immediate aim is to lock in RDs for our upcoming Open Water event and the Super Sprint Series. We hope our more experienced triathletes will all put up their hand for at least one RD position during season 2015|2016. 4. The viability of our events depend on our members being willing to volunteer for roster positions. 5. It would be great to be able to lock in names for RD, registration and fruit|ice for the next few months so we urge you all to please take a look and volunteer where you can. 6. Email darwintriclub@gmail.com with your preferred date and roster position. 1. Our club tee shirts have been well received, so much so we are already out of some colours in a couple of sizes! 2. Tees are available at $15 each or 3 for $40. 3. Email darwintriclub@gmail.com if you are interested. 1. We always enjoy catching up with former members, so it was great to have Jerome Bosmans call in at the weekend. 2. Good luck to our members taking part in the Gran Fondo events this weekend. 3. Sally Broadley has earned, we're sure unwanted, nomination in the Broken Spoke Award & is currently sporting very colourful bruising & road pizza. Sally still competed in a team at the weekend. Hats off to her and we wish her a speedy recovery from her wounds! 4. The next (rescheduled) round of Swimming NT's Open Water Series takes place this Saturday. Good luck to our members competing Note changed times - 8am registration for 9am start. 5. Triathlon NT is forming a team for the upcoming NT Athletics Championships. 6. Race Competition Rules have recently been updated. 7. Super Tuesday Bike Count - 1 September 2015. 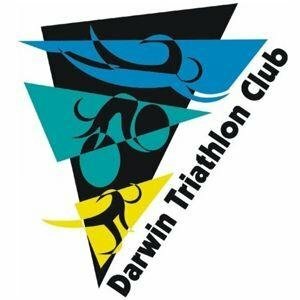 Volunteer & receive a free tshirt and nominate Darwin Triathlon Club to receive your donation. We receive $50 for each volunteer who nominates us when they sign up. 8. Our club is part of AMart Sports Community Kickback Scheme. If you haven't already got a card nominating us as your preferred sports club, please sign up when next you shop there. 11. Early bird entry for Mooloolaba Triathlon - 13 March 2016 - opens next week. Happiness is - completing your first triathlon - oh what a feeling!